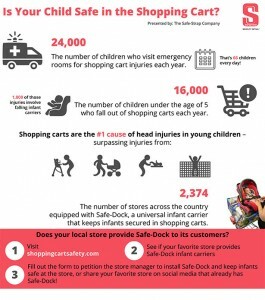 Is Your Child Safe at the Store? When using a Safe-Strap product, you can rest assured it has been extensively tested to meet or exceed all industry standards as well as our own, and is safe for your child. The Safe-Strap Company, has designed and manufactured a pioneering range of products to make the retail environment simpler, safer and more convenient for shoppers. Safe-Strap's commitment to the industry began in 1983 with the invention of the world's first seat belt for shopping carts. 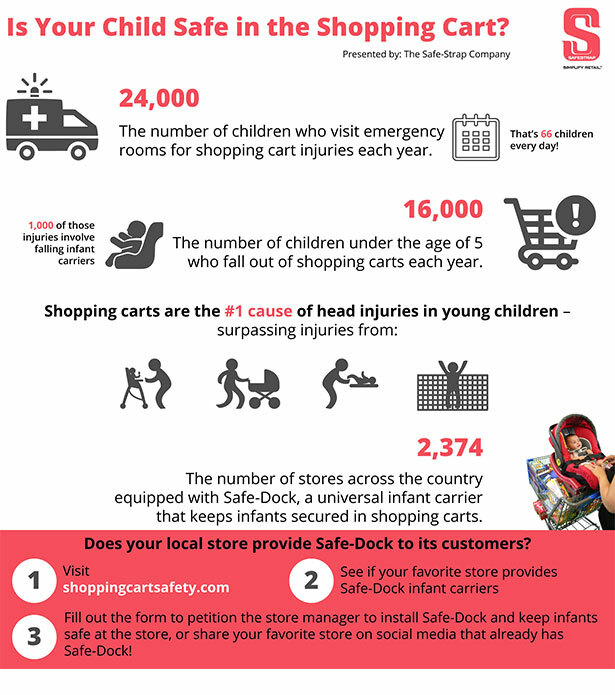 The recent launch of the Safe-Dock™ infant carrier docking system continues Safe-Strap's mission to provide safe environments for shoppers of all ages. Copyright 2019 Safe-Strap Company, LLC All Rights Reserved.